The importance of small and medium-sized enterprises in economic development is apparent to governments in almost every country. There are special agencies and programs developed at the national and international levels to foster these types of businesses. Practically every country has a policy framework for SME development. However, almost everywhere the developed policy is based on the assumption that SMEs are relatively homogenous. In the real economy, the concept of SME includes family shops and cafes along with factories with more than 100 workers. Such diverse economic entities have different values, different objective functions, and different expected results. For this reason, these universal recipes do not work for all groups of small and medium-sized enterprises. 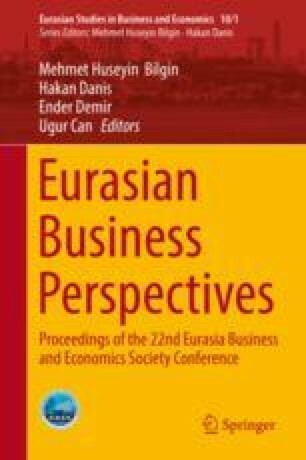 This article considers a new approach to creating a policy for small and medium-sized enterprises based on three different types of structure—small family business, small growing business, and medium-sized enterprises, each categorized by their features and their most important characteristics. The effective forms of state support have been defined for each form and a principle has been developed from this. All enterprises will have the potential to independently attribute themselves to the form that corresponds in the best way to their behavioral function and structure. The proposed cognitive frame can be used by national governments in different countries for improving SME development policy by endowing them with the ability for self-development.